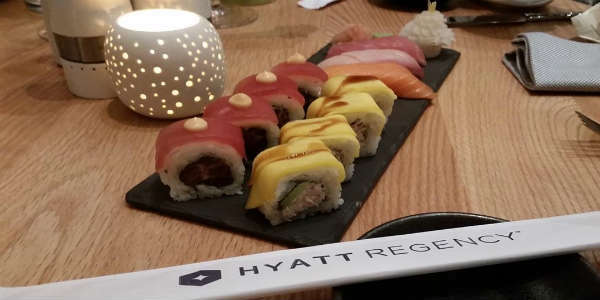 Hyatt Regency Grand Cypress is just a stones throw from Walt Disney World, making it a popular destination for tourists, conventions, and golfers. It also has a new restaurant that might help it make a name for itself in culinary circles as well. 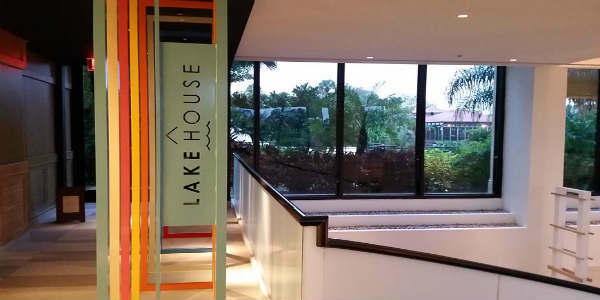 The LakeHouse restaurant is a new dining concept that offers upscale breakfast, lunch, and dinner options, along with cocktails, in a beautiful setting that takes full advantage of all the beauty that Florida has to offer. We were invited to enjoy the new restaurant by the hotel as part of a blogger dinner. As part of the dinner we sampled small portions of a number of plates, but did not get an opportunity order off the menu or see how a real service would be handled. But I do feel like I got a great feel for how professional the staff is and how talented the kitchen is. Top marks for both in my book. 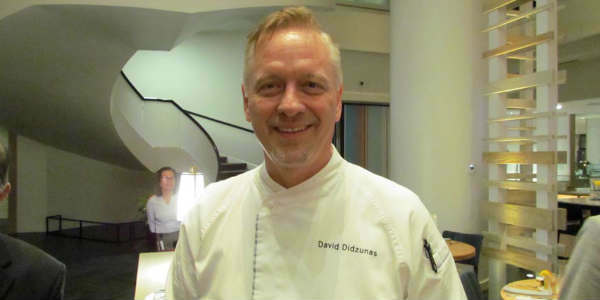 Upon entering LakeHouse we were greeted warming by Executive Chef David Didzunas and his team. They were on hand to talk us through the restaurant design, which is lovely and well planned. The restaurant is built around the concept of a LakeHouse and each section has a different themed room. There were a range of seating options from intimate to communal tables. The decorations ranged from eclectic to beachy, and I enjoyed finding little bits of whimsy where in other restaurants you’d find a stiff upper lip. The restaurant seats 206 guests. A reservation is recommended for peak nights (call the hotel or try OpenTable), but there is a bar to wait in if no tables are available. 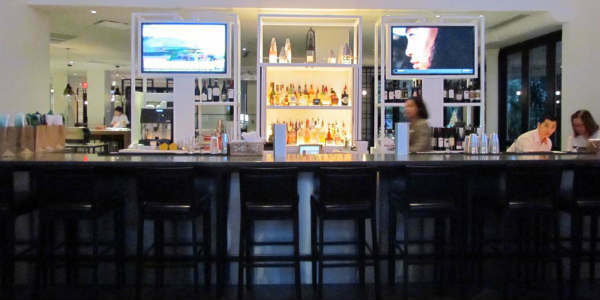 Speaking of the bar, they have a list of custom cocktails, and are very capable of making any drink you desire. I didn’t find the cocktail I sampled all that wonderful, but enjoyed a couple of the red wine selections and a custom made Cucumber Martini made with Hendrick’s Gin. Many of the dishes are served with herbs picked from right outside in the restaurant’s own garden. You might take your drink out for a stroll while waiting for your meal. 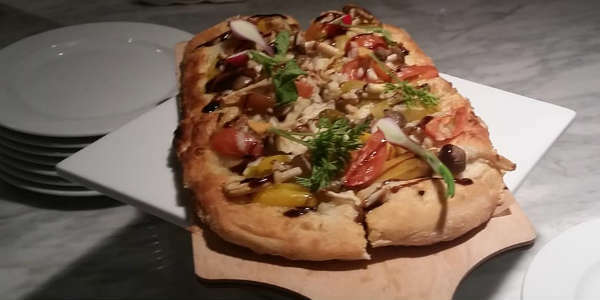 We enjoyed the wood-fired pizza options (there’s a fantastic vegan pizza), found the sushi to be buttery (especially the salmon and tuna nigiri), and the small bits of bacon wrapped dates and pretzels with mustard dipping sauce were worthy warm-ups that satisfied our palates. 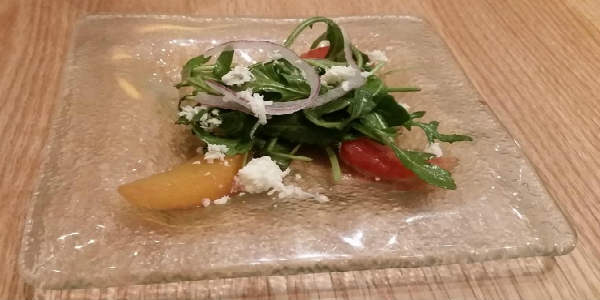 The arugula salad with boursin cheese was also yummy. I could eat a whole large bowl of it for lunch and be satisfied. Entrees we sampled were the filet mignon and sea bass. 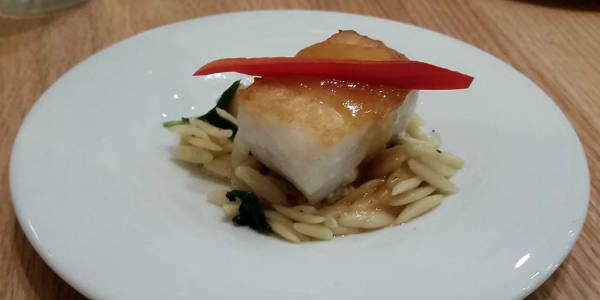 The citrus butter sauce on the sea bass paired wonderfully with the spiced kale and lemon grass orzo. I definitely wanted more of that. 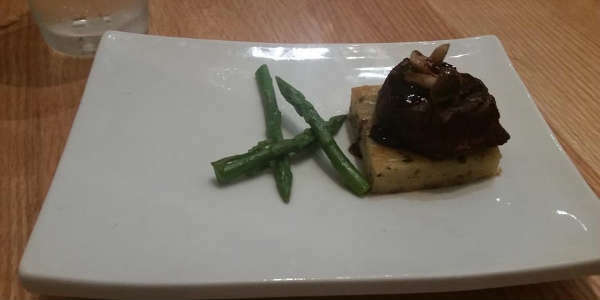 The filet was served on herb bread pudding with a port wine sauce and beech mushroom. This was perfectly cooked, and very tasty. I really enjoyed the square of rosemary bread pudding. Reminded me of Thanksgiving stuffing in a good way. 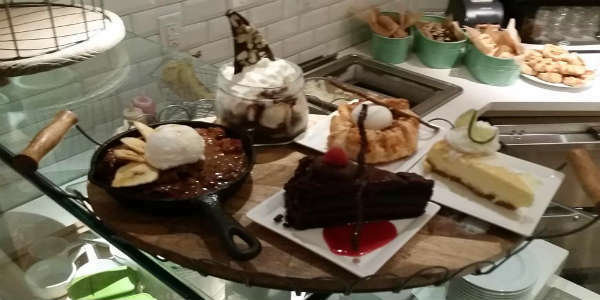 All the dessert options looked great, too. I went with the Hot Roasted Apple Tart, which was served with Vanilla Bourbon Ice Cream. If you’ve never had bourbon ice cream before you’re missing out. Special to the dessert menu is a fun Cookies and Milk presentation, as well as a Deconstructed Strawberry Shortcake. Either are a great way to share with friends, or just try it yourself. Hyatt’s food philosophy is “Food. Thoughtfully Sourced. 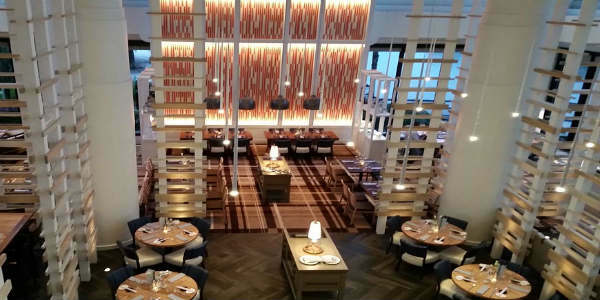 Carefully Served.” LakeHouse elevates the food experience to something memorable with its selections and prices that won’t break the bank (although it’s not inexpensive either, rather it’s just about right for the level of hotel and its location). The goal is for every guest to feel at home in their own LakeHouse. I certainly felt at home by the end of the night. If you’re in the area, I think you will too. The LakeHouse is open from 7am to 10pm daily. The bar is open from 11am to 10:30pm. For more information, visit grandcypress.hyatt.com. John Frost would like to thank his college roommate who introduced him to this thing we now call the Internet. John has been writing online. about entertainment, theme parks, and especially all things Disney, since that fateful day in 1991. You can currently find him on his blogs The Disney Blog and THRLLD.